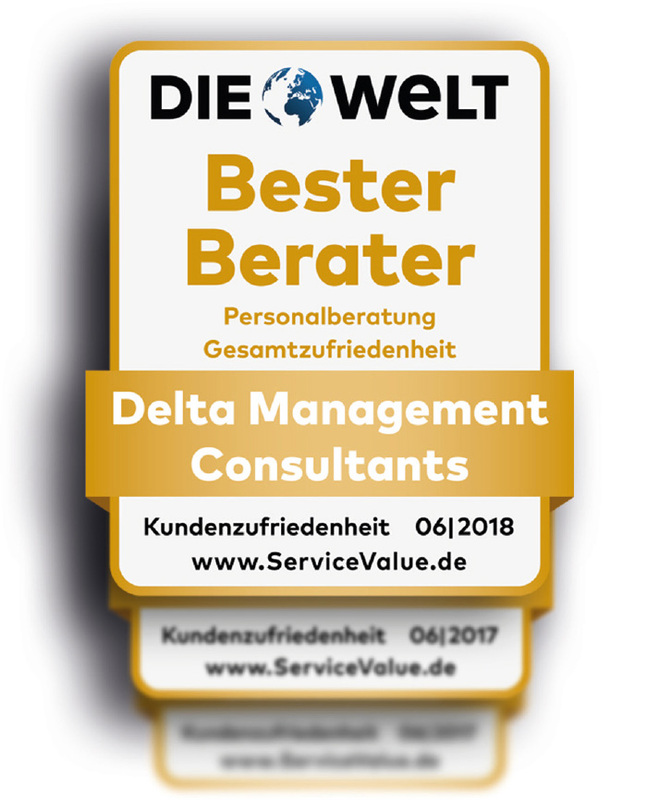 The Delta Group has established itself as one of the leading executive search consultancies for over 30 years. As true partners company – unlike many competitors – we are not divided in strict profit centre, so that all areas contribute their skills fully in the assignments. The compensation system of our consultants is based on mutual success and is solely obligated to the candidate and client satisfaction. In the area of Personal Leadership we accompany managers/top executives in their individual development and change processes (coaching, mentoring, management audits, career consulting and career transition). In the field of Organizational Leadership we support managers/top executives in creating enthusiasm for organizational change and in safely attaining the related objectives (transformation processes and HR Strategy). WE DELIVER what we promise. For us, this means: honesty, credibility and personal commitment, a trust-oriented consultation, sustainable change capability and results that exceed the target achievement. WE CHALLENGE you. Those who hold on to the past with one hand, only have one hand free for the future. For us, this means: open and value-based sparring at eye level, hand-picked and individually tailored, with a lot of passion, ardour and experience. WE RESOLVE your challenges together with you. That is for us: a high degree of effectiveness and efficiency, high quality, new perspectives and shared risk minimization. The person is always the focus of our consultation, in which we use tried-and-tested methods and innovative approaches in equal measure – supported by the Delta partnership as well as a combination of methodological and market expertise. We are and will remain authentic in dealing with our clients, characterized by our own biographical and professional experience and at the same time adept at applying diverse methods and practices. Thus, we achieve a direct contact on a human level, professional, but also close and empathic. If you’re interested in our portfolio of consulting services or would like more information, please do get in touch with us.